We want you to be completely happy with your purchase. In the event you decide that Magic Action Box is not for you, simply use the contact us via the navigation bar above and let us know within 30 days of your purchase. We’ll promptly refund 100% of what you paid, no questions asked. 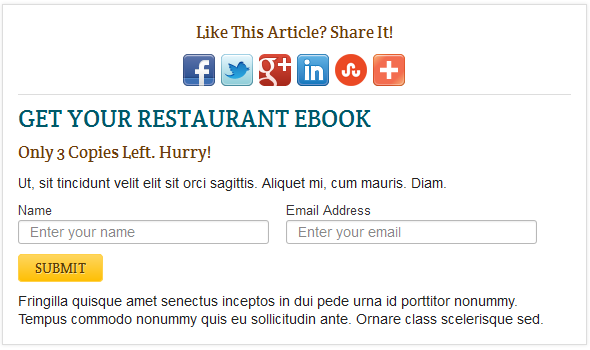 Want more than just a simple email opt-in form? No worries! With Magic Action Box you can create a sales box to guide your visitors to your best products, or a Viral Share Box. Not only that, unlike our competition we are creating more and more box types every day. Don’t worry though, they will all be simple to use, beautiful, and will help your sales efforts to soar! Want more styles? No need to fear, with Add On Pack access you will regularly get new styles to choose from. No need to hire a web designer, we’ll do the hard work for you so all you have to do is focus on getting more leads! 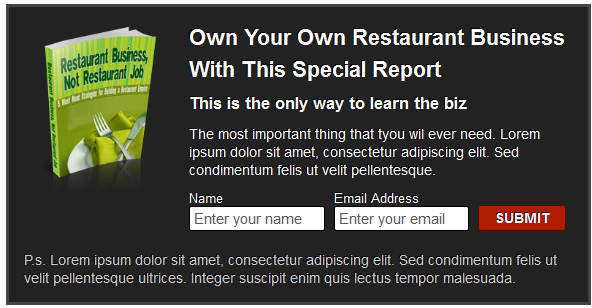 Creating in-post forms and sales boxes is amazing, but what if you could take those boxes and turn them into popups? Well, now you can. 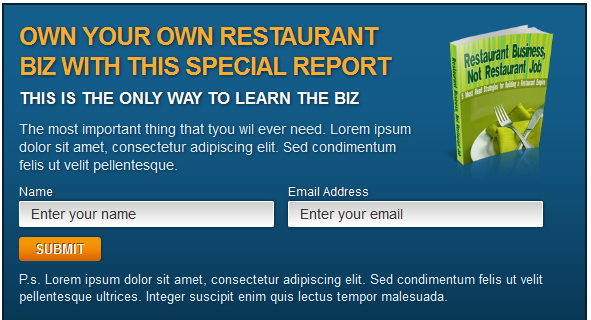 With the Magic Action Popup add on, you can create amazing looking popups for your site. Not only that, but you can literally make distinct popups for every single page or post on your blog if you like. The best part is that it is absolutely free for Ultimate owners (compared to other plugins that sells for $77 and up! And only do popups). We are constantly creating new box types to optimize your Internet Marketing strategy. Need a box to get people to share your social media content? It’s on the way! With access to product updates, you will always get the latest and great action boxes delivered to you automatically. We want your sales to skyrocket, so we’ll be working hard on boxes to make that happen! With a developer license – which you get when you purchase Magic Action Box Ultimate – you can free your clients from having to deal with… ahem… complicated form creators. You know, the kind that make you feel like you are fighting against… gravity… trying to make them do what you want? Give your customers what they deserve – an easy way to get more leads and more sales. Plus, you’ll get our absolute best support and access to our developer documentation to go crazy with mods! 1. I’m one of the early adopters who bought the product during the first release. Do I have to pay all over again? Answer: No, no, no! you should have received an email about this if you are on the product update list :). If you bought the plugin earlier, please send us a message letting us know and we’ll get it straightened out. Yes. You can find out more about it here! We offer 50% of all sales you refer. 3. Can I purchase a Professional License and upgrade later? Of course. You are always welcome to upgrade your Professional License to an Ultimate License. Just let us know so you only have to pay the difference. 4. What do I get with this plugin? For both licenses, you get one year of unlimited professional support and plugin updates from the date of your purchase. You can renew your license for another year at a 50% discount once it expires. Plus, getting plugin updates ensure WordPress compatibility as well as great new features and enhancements. 5. Will my action boxes stop working if my license expires? Of course not. If your license expires, your action boxes will continue to work. you just won’t get the cool updates and goodies after it expires! 6. How is this different than other form plugins? Magic Action Box is built around simplicity and beauty. Our goal is to make it easy enough for you to create a form within minutes (sometimes seconds). Not only that, Magic Action Box inspires your readers to take action rather than just reading your content and leaving.